•Bracelet comes with lobster clasp & extension chain that can extend max 5cm. https://scontent.cdninstagram.com/t51.2885-15/s640x640/sh0.08/e35/10448900_1009926882435663_1153722175_n.jpg https://scontent.cdninstagram.com/t51.2885-15/e15/12797623_924894650962080_984950379_n.jpg https://s-media-cache-ak0.pinimg.com/564x/91/a0/39/91a039ef00a8a840e6539ef0f003ba53.jpg https://s-media-cache-ak0.pinimg.com/564x/13/6c/2e/136c2e6d8d18b40b26ca95593c17ca77.jpg https://s-media-cache-ak0.pinimg.com/564x/8c/d6/b2/8cd6b28758288ef5657bcaafb31cfbec.jpg https://s-media-cache-ak0.pinimg.com/564x/24/a8/38/24a838fa855119049ec6242adceccd7a.jpg https://s-media-cache-ak0.pinimg.com/564x/c8/fd/14/c8fd14880ad0ec08053e3f789f3dc60f.jpg https://s-media-cache-ak0.pinimg.com/564x/89/0f/15/890f1578a4a2484c827263c307b8c4f8.jpg https://s-media-cache-ak0.pinimg.com/564x/44/bb/96/44bb96569e50dd4cc7ae81104bb65b71.jpg https://s-media-cache-ak0.pinimg.com/564x/13/9b/00/139b00f172b921641912bdee3afe0910.jpg https://s-media-cache-ak0.pinimg.com/564x/35/4d/ed/354ded4eeafd8475ce96680b60f701fa.jpg https://s-media-cache-ak0.pinimg.com/564x/47/6c/12/476c125aaa0e6e279eeaf97997a8d01c.jpg https://s-media-cache-ak0.pinimg.com/564x/f8/08/ee/f808ee65008f6f1b77e9e3c4cb729878.jpg https://s-media-cache-ak0.pinimg.com/736x/7e/57/f0/7e57f02108d7766e8babc855d944a18e.jpg https://s-media-cache-ak0.pinimg.com/736x/9d/1d/70/9d1d7006b41b75e1fccd4ab5ec89cbfb.jpg https://s-media-cache-ak0.pinimg.com/736x/14/d2/48/14d2483b60491992715d07f3bb254994.jpg https://s-media-cache-ak0.pinimg.com/736x/dd/e0/21/dde021f96c0002a6ef11066df23c65f3.jpg https://s-media-cache-ak0.pinimg.com/736x/79/94/65/7994655088074e8dc6f05dd95173bb95.jpg https://s-media-cache-ak0.pinimg.com/736x/e6/49/fa/e649fa41f2ecdf7924583fbf2bad5505.jpg https://s-media-cache-ak0.pinimg.com/736x/f2/38/33/f23833f0c9ffd2ceb4138bd3c68c79d4.jpg https://s-media-cache-ak0.pinimg.com/736x/fb/c5/85/fbc585b1caa68aa35a19171797aabd81.jpg https://s-media-cache-ak0.pinimg.com/736x/f2/78/dc/f278dce3bb7083e6d631cfb91445f8fa.jpg https://s-media-cache-ak0.pinimg.com/736x/7a/04/8d/7a048d1bebb545f814fcafb65000cc87.jpg https://s-media-cache-ak0.pinimg.com/736x/b0/98/76/b098760fa70abf3f39c886439be0cef6.jpg https://s-media-cache-ak0.pinimg.com/736x/22/66/b6/2266b653c3235b2bea5429d3e5ed4ab7.jpg https://s-media-cache-ak0.pinimg.com/564x/5a/15/21/5a1521f49074faf044405f621ee80544.jpg https://s-media-cache-ak0.pinimg.com/564x/65/31/13/65311324ada196486e73062647437955.jpg https://s-media-cache-ak0.pinimg.com/564x/d1/0c/84/d10c84fc14e9008f92465eaf2a84ed7c.jpg https://s-media-cache-ak0.pinimg.com/564x/a8/34/d3/a834d38284e0a259311dbffd04f33042.jpg https://s-media-cache-ak0.pinimg.com/564x/a1/2a/eb/a12aebc9c5b0c50a23f7d90101417ee6.jpg https://s-media-cache-ak0.pinimg.com/564x/05/34/ec/0534ec9928851d64276e8efe9ebe1ad8.jpg https://s-media-cache-ak0.pinimg.com/564x/23/93/b6/2393b6c3d76a1d7933ab811c92b772f3.jpg ❖Details❖ •Bracelet comes with lobster clasp & extension chain that can extend max 5cm. •Materail: wax coated cotton cords, brass, nickel and zine alloy. •Our bracelets are made to order and would take 4~7 working days. ❖Customization note❖ ❶Choose your wrist size：measure the real wrist size, and choose your wrist size when ordering (Note: NOT choose the lenth of whole bracelet you want.) •To measure, wrap around a flexible measuring tape around your wrist, make sure when you measure you don't measure skin tight. Tape measure should move freely on your wrist but don't add any extra length to your measurement. If you don't have a flexible measuring tape you can use string and wrap it around your wrist the same way, make a mark of your measurement then lay it flat and measure with a ruler. •we’ll make slightly larger to fit over your hand. •Please leave your wrist measurement in the notes section if it's not listed as an option when you place your order. •It would take NT$50 to make an anklet, please click this link to purchase addictional. https://www.pinkoi.com/product/1aQNsnBI?category=2 ❷About the color：note the color you want when checkout (EX: which photo or color or the number of our color table); If not, we’ll make it randomized. ❖ Color❖ •We have the cord color table for you to collocate the colors by yourself. •Actual colors may appear slightly different from the product photos due to lighting, edits and monitor settings. https://s-media-cache-ak0.pinimg.com/736x/4e/f2/4c/4ef24c14b7921e39ee5ab21003831392.jpg ❖Buckle types❖ •Each one of our bracelets has its’ original buckle type, and we have totally three ways to buckle. •If you want to change the original type, please contact us. Not everyone fits to change other types. •Here are the three types: ❶lobster clasp & extension chain: most bracelets’ buckle type, and cause of the extension chain, so will fit most wrist sizes. We can take off or cut short the extension chain if you want. ❷IO buckle set: it’s easier to wear by your own, some bracelets are made use of this. 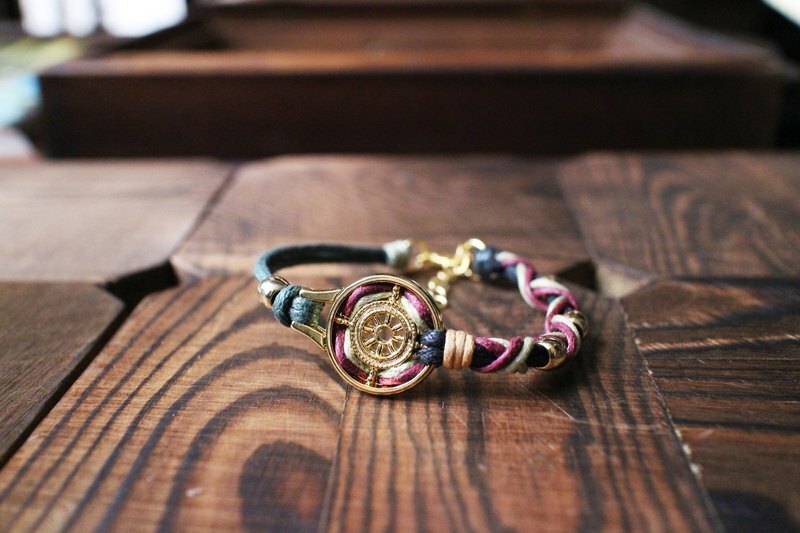 ❸buttom: it’s easy to wear by your own too, but not fit to many kind of bracelets. ❖Service❖ •We can renew the cords of bracelets biennial for free expect for a few styles (Taiwan area only). •Free maintenance for a month and does not cover man-caused (man-made) damage. More than a month need to charge a service fee. • All other maintenance and repair issues are described in detail in the warranty card. ❖Package❖ https://s-media-cache-ak0.pinimg.com/564x/24/bc/8c/24bc8c7ff74795c67c14776fc721c738.jpg •We have paper bags for products and packed carefully, in response to environmental protection, we do not take the initiative to offer carton packaging. •The unit price of $ 600 bracelet free upgrade to a carton packaging (please tell us initiatively). •Price less than $ 600 of merchandise can be purchased fare for a carton packaging, please click this link to purchase addictional. https://www.pinkoi.com/product/19F295DP?category=8 https://s-media-cache-ak0.pinimg.com/564x/dd/fa/ff/ddfaffb0eb460979fe4a0317e0770a96.jpg ❖Others❖ •Our bracelets are all made to order . •All bracelets are water resistant, but not entirely waterproof, so please avoid contact with water as you would with any jewelry. •Orders would take 4~7 business days. •If you have any idea or question, please contact us.